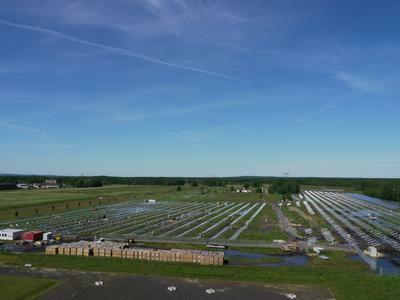 Emmvee, manufacturer of photovoltaic modules, project developer and epc, have planned and developed a solar park with almost 12 MWp within 7 weeks. The park has been established on an old air port near Bronkow, a beautiful village in the state of Brandenburg. Works started on March 13 with an extensive search for ammunition. With them having been transported away, the 120 workers were able to install 11000 poles for the supporting structure of 46000 modules by Emmvee. 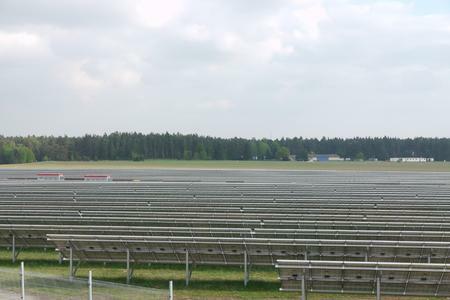 The solar park is one of the twenty biggest parks in Germany. Some of the modules are equipped with structured glass, one of the specialities of the company that helps increase the efficiency and also minimize the blinding effect for the pilots wanting to touch down there. “Emmvee pursues a strategy of long-term co-operations. 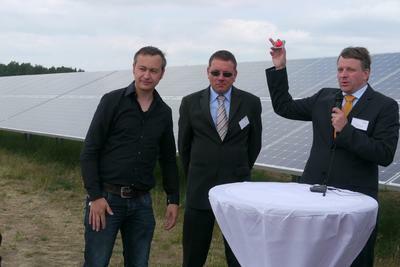 Therefore, we were able to install a system this size in such a short time,” reflects Steffen Graf, Managing Director of Emmvee Photovoltaics GmbH. There is a new development when it comes to the mounting system. Emmvee and the German company MKG have developed a new mounting system especially for Emmvee modules. “The sturdiness of the frame, a development by the research team of Emmvee, lends itself for this innovative mounting system. The frame also plays a vital role under harsh climate conditions.” says D.V. Manjunatha founder of the company. Emmvee Group of Companies is an international provider for solutions in the fields of renewable energy. The manufacturer of photovoltaic modules and solar-thermal appliances has two production plants in Bangalore, India. Its European headquarters are in Berlin, Germany. Emmvee has recently started the business unit Project Development, a global unit in order to install turn- key solar installations. 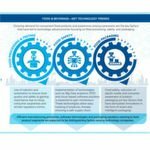 Emmvee places great emphasis on transparency, service and quality. The website www.emmveephotovoltaics.com allows a deeper insight into the company and its business activities.